• If only they had this program for journalism school students 10 years ago. 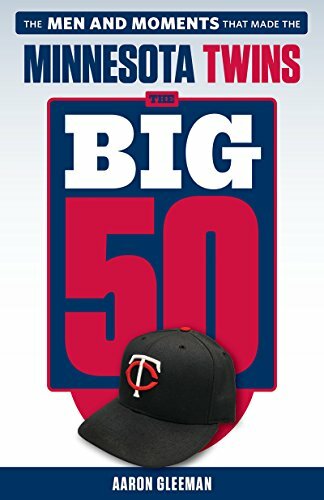 • Conclusive evidence that blogging has jumped the shark: Sid Hartman has a one now. • Two decades later the hair restoration cream from China finally worked on George Costanza. • This totally ruins my Gail Simmons shiksa obsession and also shatters my entire world view. • If you're not sick of Moneyball already, check out my article examining some of the history and ideas behind the movie (and the book). • The look on this guy's face as he stares at Rihanna from behind is as amazing as the view. • On a related note, they had to go all the way to Ireland to find a man who wanted her to put on more clothes. • Jordan Schafer isn't much of a hitter, but he's a Hall of Famer at getting arrested with pot. • Eva Amurri is the Ken Griffey Jr. of famous actress offspring. • Bernard Berrian and his public relations team seem like a perfect match. • Congratulations to Kenan Thompson on his recent engagement and for showing why being on television every week is so great. • I'd watch every episode of Prime Suspect if they'd let Trey Kirby write the scripts while Maria Bello wears the hats. Hell of an ending, too. • I'm thrilled that Arrested Development might return from the dead, but once that happens can we resuscitate Freaks and Geeks too? • Zooey Deschanel and Lizzy Caplan on the same show may shatter the adorability scale. • And in other casting decisions taken directly from my dreams, Maura Tierney is joining Jenna Fischer on The Office. • Of course, not every decision NBC makes is a good one. • My favorite quote of the playoffs so far: "There was poo everywhere." • Joel McHale wrote a good article for Grantland about his time as a walk-on tight end for the University of Washington. • I'm still skeptical about a(nother) Friday Night Lights movie, but everyone knows that Connie Britton doesn't say "for realsies" unless she means it. • Ozzie Guillen's replacement as White Sox manager came out of nowhere. • Jon Hamm's appearance on Marc Maron's podcast was every bit as enjoyable as expected. • Speaking of which, Ida Blankenship remains the Queen of Perversions. • No one has looked this good in a Pittsburgh Pirates hat since Barry Bonds. • I look forward to this happening to me on Twitter some day. • I've been debating getting a tablet computer, but reading this made me even more unsure. 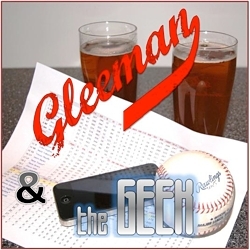 • This week's episode of "Gleeman and The Geek" includes lots of arguing, a little drinking, and a new groupie.